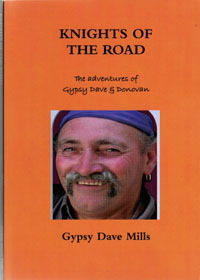 Description: Gypsy Dave was involved in the music business with his dear friend Donovan, from 1963 to 1971. He had songs recorded by various artists and his song Tangier was used extensively in the famous film Castaway, staring Oliver Reed and Amanda Donohoe. Here he tells the story of his life and times during the Swinging Sixties - and beyond. 19 chapters written so far and more to come!